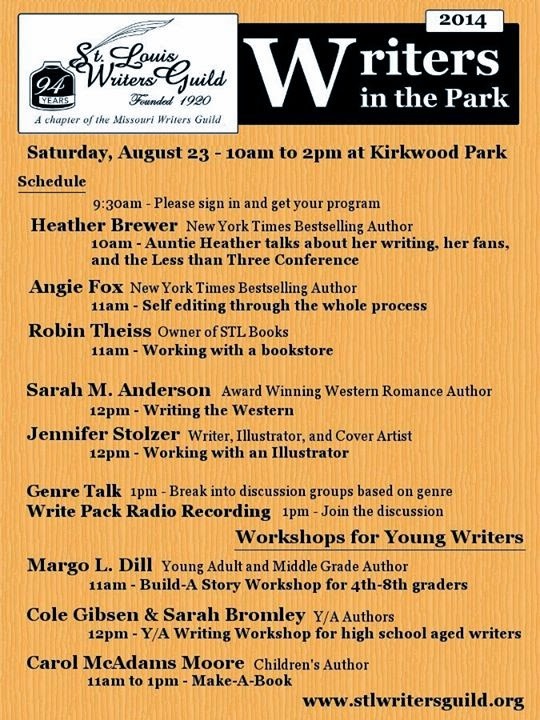 If you’ve never been to a writers’ conference, St. Louis Writers Guild’s fifth annual writers’ festival in Kirkwood Park is the perfect way to start. The free mini-conference will be held from 10 a.m. to 2 p.m., Saturday, Aug. 23, at Lions Amphitheater in Kirkwood Park, 111 S. Geyer Rd. No pre-registration is required. Created to honor the Guild’s 90th Anniversary, the day includes free workshops led by industry professionals, books from local authors, and food for all to enjoy. The popular “Buy a book, get a sandwich” promotion will return, featuring sandwiches from 6 North Café. Writers in the Park 2014 is sponsored by a generous gift from Commerce Bank. In case of extreme heat or rain, the conference will move indoors at the Kirkwood Community Center. Click Here for the Kirkwood Parks website. 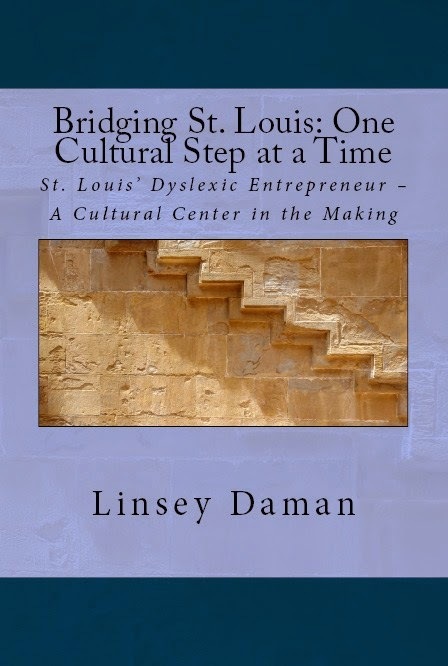 View the full event schedule on www.stlwritersguild.org.